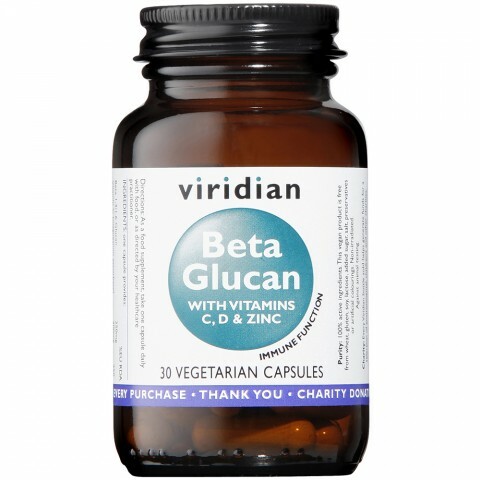 Beta Glucan in the 1,3 / 1,6 form. With buffered vitamin C, zinc citrate and vegan Vitamin D3 from lichen. Vitamin C, Zinc and Vitamin D all contribute to the normal function of the immune system. Beta 1/3, 1/6 Glucan 250mg, Vitamin C 200mg, Zinc 10mg, Vitamin D3 25ug.